New Mobile Casino Slots: Lightning Box gets ‘wild’ with Mild Rockers Slot. Lightning Box isn’t one of those mobile games manufacturers you hear about too often. But when they do pop up in the news, it’s usually worth hearing about. This time, the company is going ‘wild‘ with its latest digital gambling creation, Mild Rockers Mobile Slot. Try not to let the name dissuade you. There’s nothing mild about this punk rock theme. From the heavy-metal musical score, to the leather-clad band members and bright red lipstick prints, these mild rockers are as wild as it gets – especially when the features kick in! “Mild Rockers gives players the hottest ticket in town as they attend a gig with the Rock Girl and her crew of sometimes-wild rockers,” quips Peter Causley, Managing Director and Do-Founder of Sydney-based Lightning Box Games. “The game boasts an epic soundtrack and edgy visuals, which we’re sure our players around the world will enjoy as they try and band together as many winning lines as possible,” says Causely. The Mild Rockers Slot is not your ordinary 5-reel, cookie cutter design. It’s packed with 6 reels and 80 paylines on a diamond-shaped grid. The length of each reel spans 3-4-5-5-4-3, for a total of 24 positions and 80 betways. It comes with a bet range of $0.50 to $125, a medium variance, and an RTP of 95.57%. The graphics and sound effects are full of energy, with the bright lights of the stage altering the color scheme as the game progresses. The higher paying symbols include a spunky female lead singer, long-haired male guitarist, drum set, keyboard, roaring fans, and the Mild Rocker logo. On the lower end are playing card values of A,K, Q, and J. The female rocker is the wild, and does the usual job of substituting for all other standard symbols. The lipstick print depicting the word ‘Bonus‘ is the scatter. They award scatter pays of up to 100x the total bet for 6 of them. If 3+ appear, it triggers 8 Free Spins. 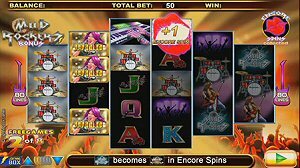 During free spins, the scatter symbols change into Lipstick Encore symbols, depicting the word “Encore” and “1+”. Whenever one of these appears, it grants 1+ Encore Respins. These bonus spins will continue to rack up as the free games play out, and will commence immediately after. During Encore Respins, the Mild Rocker logo finally gains some value. In the base game, the logo is the lowest paying of all the high-end symbols. But during Encore Respins, the ‘M’ in the Mild Rocker logo flips, turning them into ‘Wild Rocker‘ logos, which are – of course – wild. Note that up to 48 Encore Respins can be won. However, since the lipstick is no longer a scatter, free games cannot be retriggered. 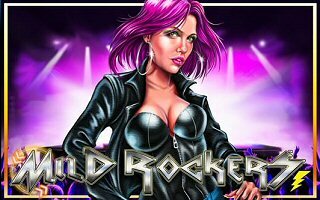 Like all Lightning Box productions of the last few years, the Mild Rockers Slot is optimized for play on all major desktops, smartphones and tablet devices. You can find this new mobile casino slots game on nearly two dozen online casinos, including Canadian favorite LeoVegas. 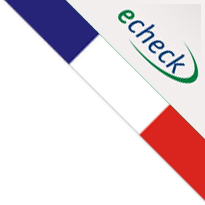 What’s better, Desktop, Smartphone or Tablet Casinos?